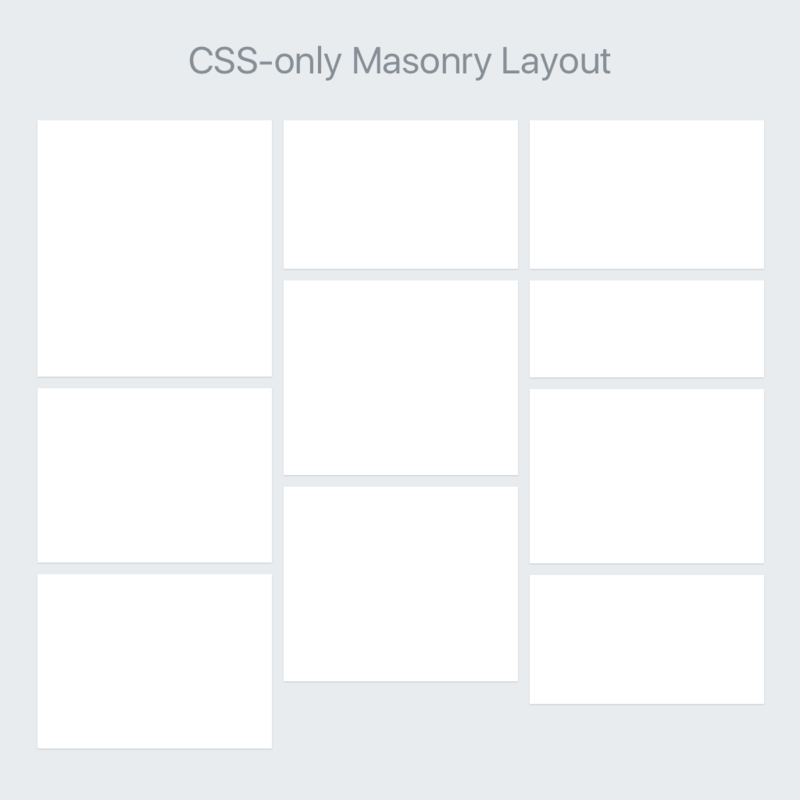 … or Pinterest styled layout. The easiest way to pull this off is with jQuery Masonry plugin. However, I recently figured out that it can also be achieved purely in CSS — with CSS columns. CSS columns is not supported in IE 9 and below, therefore you need to go with the jQuery plugin approach. Also, as of now, it’s highly recommended that you use these properties with vendor prefixes.